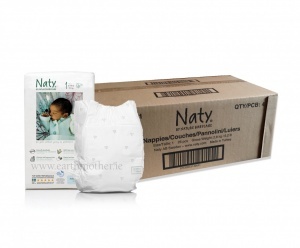 Nature Babycare Eco Nappies GREAT VALUE MONTHLY BOXES now save you even more money! Go green without giving up performance. Nature Babycare eco nappies believe the use of natural materials contribute to fewer allergic problems and skin irritations and are kinder to your baby as well as the environment. They manufacture award-winning high performance biodegradable eco nappies based on natural, plant-based materials. All products are totally chlorine free, contain no perfume, dyes or parabens, the wood pulp used is from sustainably managed Scandinavian forests and the baby wipes even come in eco packaging. Unfortunately no nappies are yet 100% biodegradable. Nature Babycare nappies are based on renewable raw materials but are not 100% biodegradable. Renewable raw materials come from plants and trees. When the raw materials are burned the carbon dioxide is released to be consumed by other plants or trees. In this way you don’t add more carbon dioxide to the air, which you do by burning petroleum-based products (whic includes most high street nappies). 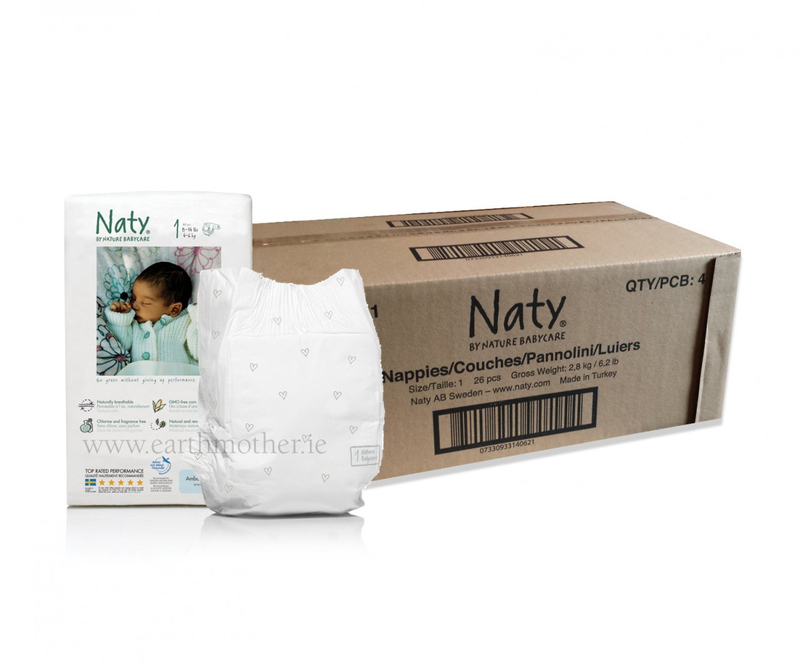 Even during the production phase, Naty use less petroleum-based products than regular disposable nappies. Fantastic value, chemical free and no rash on our little one or on her big sister who's now 20 months old and has been using them since birth.